By this time of year, going to one of Canada’s countless parks is an exercise in admiring the beauty leaves scattering everywhere, but behind the scenes at Parks Canada, the real beauty is in how data is being more effectively brought together to map out its diverse terrain. A few weeks ago, Ersi Canada gave Parks Canada an Award of Excellence in Geographic Information Systems (GIS), following a project that involved its ArcGIS platform. The product has allowed Parks Canada to integrate various other systems and create several new applications for its staff. These include Parks Canada Atlas, which provide basemaps of the Agency’s parks, historic sites, waterways and marine conservation areas that range from a Canada-wide scale down to 1:36,000. A National Integrated Realty System (NIRS), meanwhile, is designed to let the Agency’s 50-member Realty team to link their documents (property ownership documents, leases and licences) to land parcels, and the Incident and Event Management System helps National Park Wardens document and manage law enforcement incidents and planned events. National Park Wardens or mounted in their vehicles. Work on the enterprise GIS project started about four years ago, before Thompson had joined Parks Canada as CIO. Although Esri’s products have been used at all levels of the Canadian government for years, Esri Canada president Alex Miller said the agency’s use of ArcGIS means staff will have ready-to-use content and templates to quickly build and deploy Web maps and applications accessible via multiple devices. 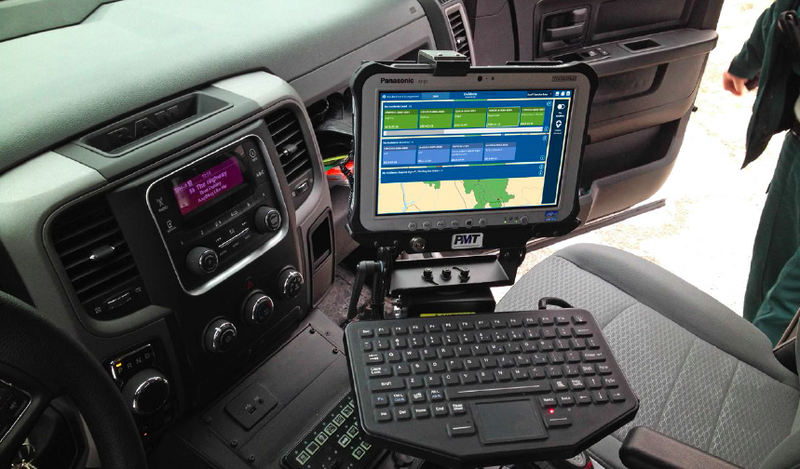 Thompson agreed, adding that while the initial applications mostly cover roads and campgrounds, more layers will added that connect to the integrated realty system and asset management tools. This should happen sooner rather than later, he said. Over time, Thompson is interested in seeing how its enterprise GIS approach can create new kinds of user experiences that reflect the unique working conditions of many people who work in various Parks Canada locations. These could include incident management tools for law enforcement wardens, for example.